Great Zen Teacher Thich Nhat Hanh, known around the world as a peace activist, was admitted to hospital due to brain hemorrhaging. Buddhists around the world send him healing wishes. Plum Village indicated that Thay’s health had been fragile in recent months due to advanced age. The wellspring of goodwill unites all Buddhists, peace activists and people around the world in sending supportive thoughts and good wishes to the great teacher, known affectionately as Thay. Buddhist Sanghas everywhere are dedicating healing practices, meditation practices and support—far beyond the already extensive Plum Village network. Buddha Weekly joins in urging Buddhists around the world to think of Thay, to dedicate some practice time, meditation or good wishes for Thay’s recovery. 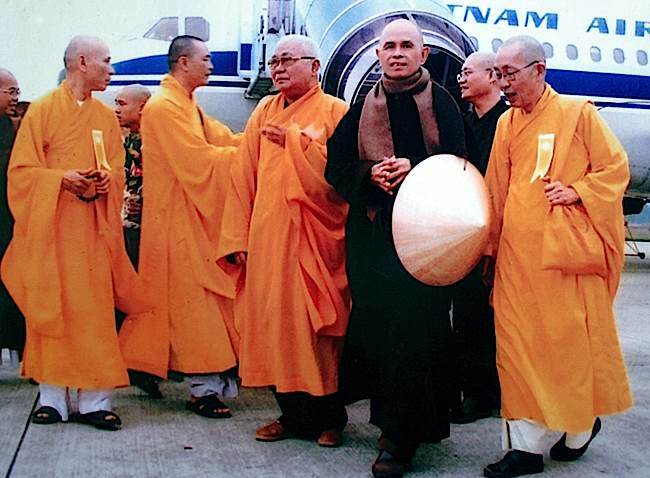 Thay on a return visit to Vietnam in 2007—always the humble monk and outspoken peace activist. For those few who do not know Thay by reputation, Thich Nhat Hanh is best known, perhaps, to non-Buddhists as a peace activist. He famously nominated Martin Luther King for a Nobel Peace Prize, and was in turn nominated himself for his work internationally in promoting peace and tolerance. He is an exile from his home Vietnam. Thay wrote over 100 books, among the most popular authors on Buddhist topics. He taught retreats around the world. Here, he leads a retreat in Cologne. Born in 1926 in Central Vietnam, he entered a monastery at the age of 16. 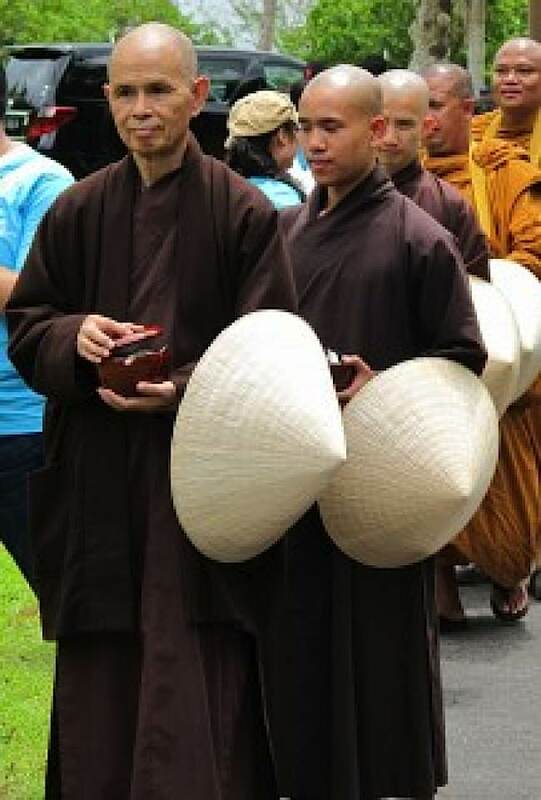 He is now recognized as a Dharmacharya and the spiritual head of Tu Hieu Temple. He led non-violent peace efforts in Vietnam, taught as a lecturer at Columbia University, lead a symposium at Cornell University, and taught extensively on themes of tolerance, peace and mindfulness. He was instrumental in encouraging Martin Luther King Jr to publicly denounce the Vietnam War. Amongst Buddhists of any tradition, Thay’s writings on Emptiness remain one of the best introductions to the vast topic. Explaining the concept with beautiful, easily-comprehended metaphors, and a new term he coined and beautifully expounded on—Inter Being—his teachings are seminal amongst the Zen Buddhist community, and often referred to by Buddhists of all traditions. 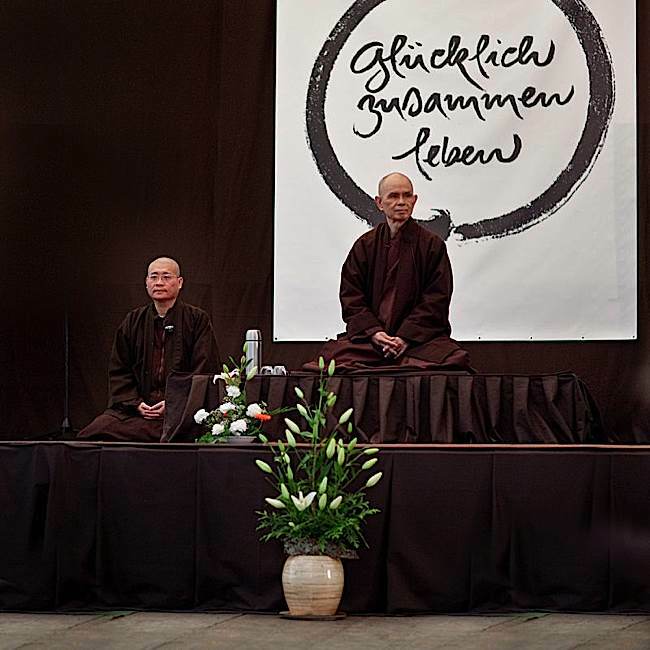 Thich Nhat Hanh during an alms round. • Vietnam: Lotus in a sea of fire. New York, Hill and Wang. 1967. • The Miracle of Mindfulness: A Manual on Meditation, Beacon Press, 1999, ISBN 0-8070-1239-4 (Vietnamese: Phép lạ c̉ua sư t̉inh thưc). • Savor: Mindful Eating, Mindful Life. HarperOne. 2010. ISBN 978-0-06-169769-2. Plum Village Mindfulness Practice Centre website. King, Martin Luther, Jr. (letter) (January 25, 1967). 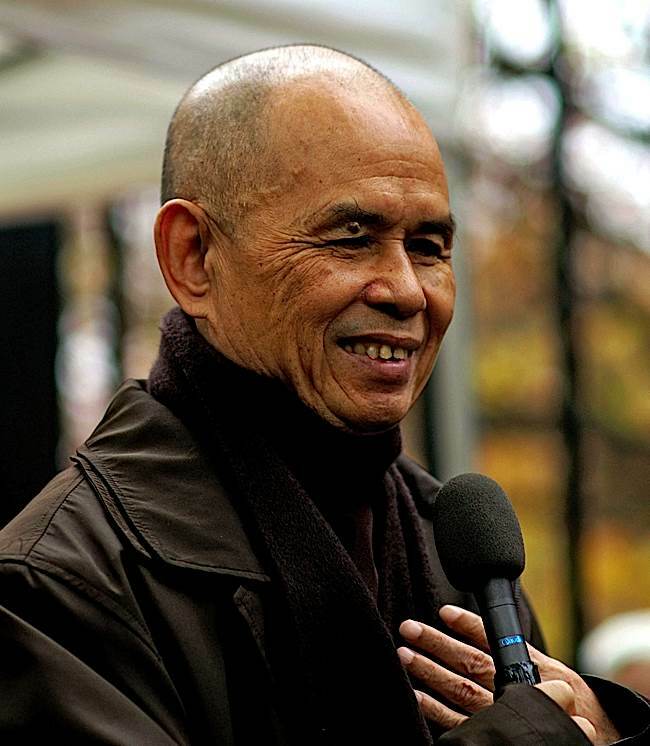 “Nomination of Thich Nhat Hanh for the Nobel Peace Prize”. Archived on the Hartford Web Publishing website. Retrieved 13 September 2010.